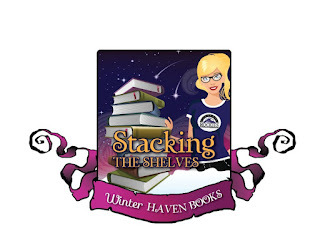 -She wrote Encalve because her publists wanted to jump into the YA market. -She is writing a YA contemporay for her daughter..aww!! -She is hilarious!! She acted out a movie trailer for us and it was the funniest thing ever! Yes it was about zombies lol. -One of the sweetest authors I have ever met. -She is writing a new book about two societies and only one of them can be active at a time so there is a day society and a night society. Okay I am not explaining this very well sorry! It sounds amazing when she describes it and I cannot wait to read it! -She wrote Monstrous Beauty with the help of her children on a dare. -She wrote Hold Me Closer, Necromancer for her Masters thesis and held to her guns when her professors tried to make her change her book. I am so glad that she didn't back down! -She has two new books planned that will have Eva as the main character and they are set in the same world as her previous books, but they are on the East coast. At some point she hopes to have Eva and Sam meet up. Yay! I love this idea!! -Oh how I love this woman! -She used to write fanfiction for Sailor Moon. -Here Lunar Chronicles series will feature Little Red Riding Hood in Scarlet and then we will see Rapunzel and Snow White in the following two books. I cannot wait!! I loved this panel! It was so much fun and all we did was laugh the entire time! 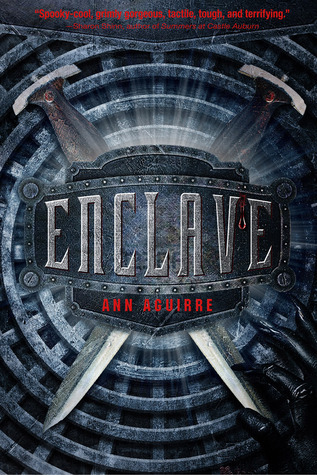 While I was there I managed to get Ann Aguirre to sign both books in her YA series, Enclave and Outpost so that I could give them away to one lucky follower. I have included my roomies review of Enclave and my review of Outpost so you can see just how awesome these books are. So take a peek below to learn more about this series and don't forget to fill out the raffelcopter form for a chance to win both books! This post-apocalyptic novel has all of the right elements to be a hit for dystopia fans. Its constant building tension and clever twists provide a fast-paced action adventure that includes a gritty backdrop, flesh eating zombies, and a pack of wolf gangsters. What else can you ask for when looking for an intense survival story? Oh yes! Don’t forget a cast that includes a fierce and loyal heroine, and her deadly and cunning partner. Now that’s entertainment! In Deuce’s world, you have to earn the right to a name and a position in the underground society. Every aspect of life is controlled down to the role you play in the Enclave. Deuce has spent years training as a huntress that will keep her society safe from the flesh eating Freaks. When eventually paired with Fade, they forge a deadly pact that fights against the Freaks and hunts for the Enclave. As a continual show of power, the Enclave elite plants evidence among its inhabitants in order to frame a member of their society as a hard lesson of who owns the power. Deuce and Fade step forward to protect an innocent victim, and are punished with banishment from the underground and the only home Deuce has ever known. When she goes topside with Fade, the ruins and gangs are a force that will require each other’s combined strength and loyalty to survive. There were a couple of elements I had a smidge of a tough time wrapping my arms around. For example, the whole concept of hording was a bit weak for me to grasp as a true offense in the underground. Also, I thought there were other ways to control the population besides forbidding “non-breeders” physical contact of any kind. Both a bit extreme, but I’m not here to argue with Aguirre’s world-building. She set the rules and consistently stuck by them. What I did have a tough time breezing past was the violence against one of the characters. I don’t find violence towards women entertaining in any form or fashion. I tend to remove myself from the story, which luckily was hard to do completely because the book did a good job of keeping my attention. In addition, I think listening to the audio version really played a part in my enjoyment of most of this story. The narrator was effective and powerful throughout. Overall, I enjoyed most of the story and I’m curious where Deuce and Fade’s story leads topside. Well done! Wow this book has definitely left an impression on me. After reading and loving Enclave, I was so excited to get my hands on the second installment of this series, and it definitely delivered in more ways than one! 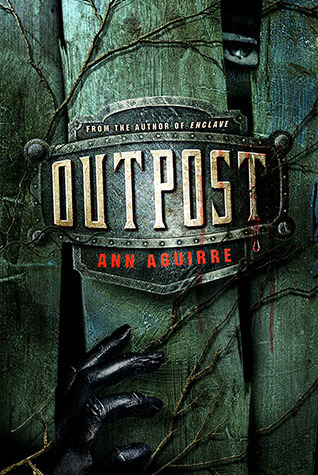 Outpost provided a high energy, fast paced, thriller that I’ve come to expect from Ann Aguirre. Outpost picks up where Enclave left off, taking us into the Salvation compound that rescued Deuce and her friends. Here they begin to try and adapt to this new life and community of survivors. Unfortunately, Deuce isn't fitting in very well because she is a Huntress at heart and can't understand why she is being kept from her duties. Women in Salvation are not meant to hunt the creatures of the night, the Freaks, and having grown up knowing that is all she has ever wanted to do Deuce finds herself getting in trouble for trying to just be herself. How can you hide what you truly are? Adding to that - Fade, her once go to guy, has been avoiding her and she hasn't a clue as to why. The only person she can turn to is Stalker. Things develop in a way I never expected to see and I’m curious to see what happens next. I have to give Ms. Aguirre major credit for her world building. It is absolutely incredible. I am completely blown away by how solid her world continues to evolve throughout the story. During the signing she explained how she came up with this idea and she told us that she always wondered what would happen to the people in the subway of the world fell apart. I surely hope that her idea never comes to fruition because it is truly terrifying and the scariest part is that it is so believable. I also enjoyed meeting up with the characters once again. 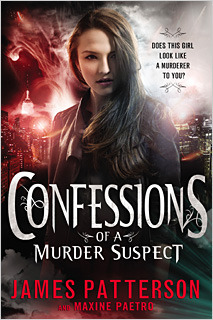 Sometimes when we read sequels, I usually end up not liking the ones I liked in the beginning but my feelings stayed faithful, and I am still a fan of Deuce and her gang. I even felt myself giving in to a certain someone who shall remain nameless. 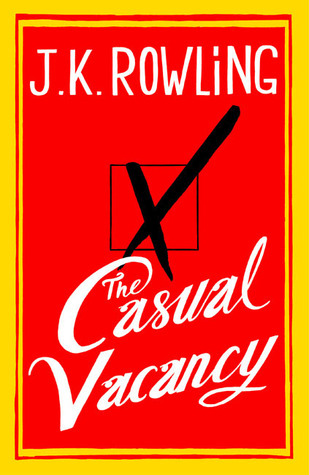 This book was a great addition to an amazing series. I am eager to see what Ann Aguirre delivers next! And now what I know you all have been waiting for the giveaway! All you have to do is fill out the Raffelcopter form below! Good luck everyone! WinterHaven Books is so excited to share we’ve reached 600 followers!! How awesome is that!?!?! 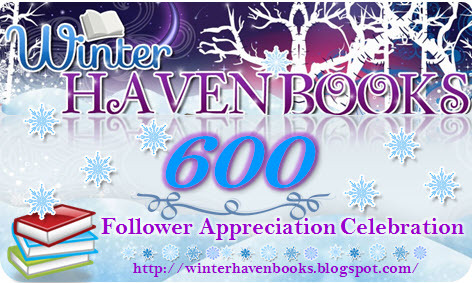 We just wanted to take a moment to express a huge and heartfelt thank you to our new and existing followers that have joined our haven of book fun. 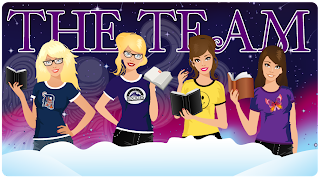 We hope you’ve had a good time hanging out with us as we share reviews, author spotlights, memes and give-aways. To show our appreciation for helping us grow this blog… you guessed it!! We’re giving away apple pies!!! SQUEEEE!!! Noooo, we’re just kidding. 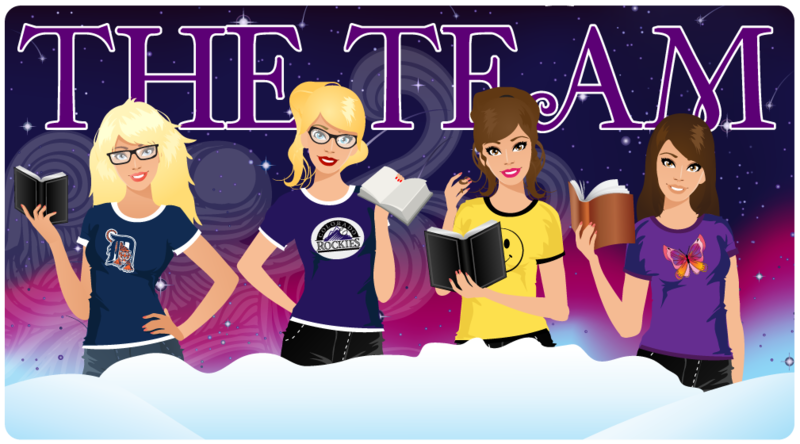 :P Actually we have THREE awesome books from our Fierce Reads Tour that Crystal attended in September, which we’d like to offer one lucky follower! Take a look at the bundle below!! Not only that ... they are all autographed by the authors!!! 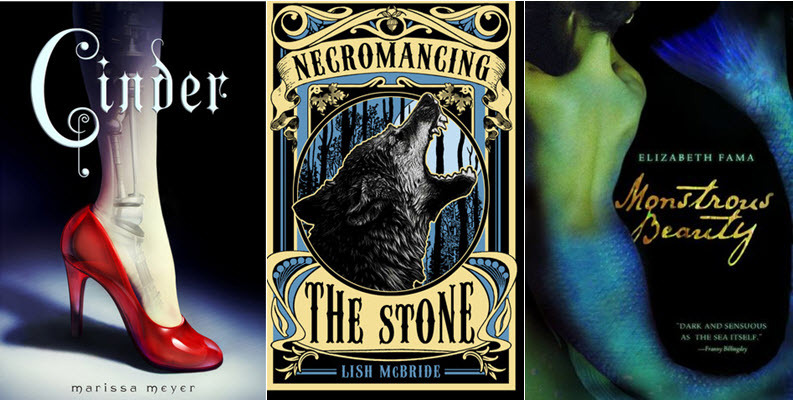 Be sure to fill out the rafflecopter and share with us which of these books has been on your TBR. This will earn you a chance to add them to your book collection. Good luck and thank you for visiting our blog! Yes, I realize that I am missing the cover for Down to You and that is because our audience is mainly young adults and I didn't quite think it was a good idea to post lol. So if you want to add that one to your tbr on Goodreads just click on the title and it will take you there *whispers* I would highly suggest you check out that cover if you are over 18 =P. That's it for us this week! Leave me a link so I can see all the awesomeness that landed in your hands this week! P.s. Don't forge to check out our Covenant series giveaway (it includes Deity!!) and our Sleigh Tour Page! Woohoo we have another cover reveal for you!! This book sounds absolutlely amazing and the cover is by far one of my favorites of this year! Take a look! While training for a mountain bike race, high-school senior Mark Lewis spots a mysterious girl dressed in odd clothing, standing behind a waterfall in the woods near his North Carolina home. When she comments on the strange machine that he rides, he suspects something isn’t right. When Susanna claims to be an indentured servant from 1796, he wonders if she's crazy. Yet he feels compelled to find out more. Mark enters a ‘long-distance’ relationship with Susanna through the shimmering--and temperamental--barrier of Whisper Falls. Curious about her world, Mark combs through history to learn about the brutal life she's trapped in. But knowledge can be dangerous. Soon he must choose between the risk of changing history or dooming the girl he can't stop thinking about to a lifetime of misery. So what does everyone think?? I love books told from the guys point of view and I have to say that this one sounds like it will definitely stand out in a crowd. Plus who could turn away from that cover??!! We are so excited to have Jamie Manning on the blog today! Jamie gave us a special sneak peek into his next book in the Blood Prophercy trilogy to share and also was very gracious by offering to giveaway a Signed Copy of Bloodborn and swag by! 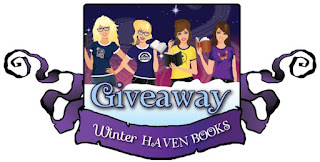 Read on to see more about this amazing series and awesome giveaway! 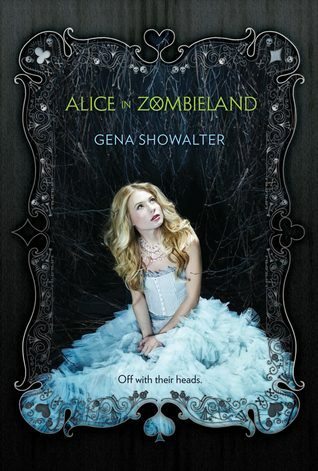 Waking up in a coffin hungry for blood is only the beginning for sixteen year old Ava Blue. 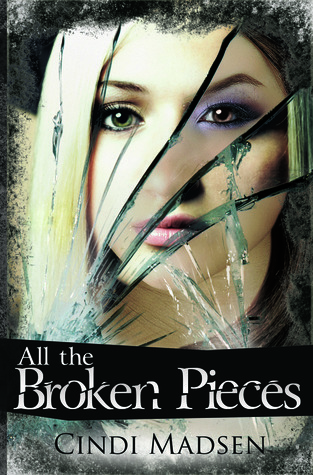 When Chance Caldon, the hottie who dug her up, tells her that's she half vampire Ava's world really turns upside down. Half vamp? Ava can't believe it.... She doesn't even know that that means Not until Aldric, a thousand-year-old vampire shows up and tells her it's true- and that he's the one who turned her. Then Ava truly begins to believe what she is. Now, she has to deal with a sudden and powerful bloodlust, the desire to see Aldric dead and her growing crush for Chance. Ava knows she's a monster now, she can feel it and her life is over. But redemption isn't lost. Aldric is giving her a chance to regain her humanity. The price? Kill a hundred vampires or remain a bloodsucker forever. So Ava sets out to get her life back. But killing vampires begins a battle that could destroy everything she is working toward. In the end Ava's decisions will forever change her life and the lives. I was pleasantly surprised and satisfied that Blood Born wasn’t “just another” vampire story. I’m so glad I read this because I truly enjoyed Blood Born. This was unique and a refreshing read packed with action. The author does a great job creating an extremely likeable cast of characters as well as great imagery and plot. This was not a slow starter by any means. Right from the beginning we are thrust into Avaline’s world. Imagine waking up with an unexplained blood-lust and buried and confined in a dark coffin! I have to admit, I have a huge fear of heights and small confined spaces, and Manning did an excellent job writing and relaying Ava’s emotion right from the start. Ava learns she’s the first of her kind. She's not a complete vampire, she's half vampire, and half human. She possesses both good and bad traits from each species. She is strong and immortal like a vampire, but also emotional, and therefore vulnerable, like human's. Other vampire’s will want to kill her because she possesses what every vampire wants—humanity. Aldric Kruger, a vampire over a thousand-years-old, was the vampire who changed Ava. She wanted nothing more than to be human again and in order to do that she must kill 100 vampires. There was something sinister, yet intriguing about Aldric. I actually grew a fondness for him though. 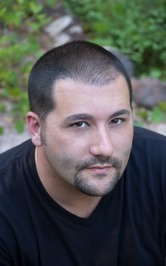 Chance Caldon, a dark-haired hottie with green eyes was Ava's rescuer. Besides saving Ava, Chance has a little secret tucked away of his own. Ava starts a new school, a new life and meets a group of new friends. 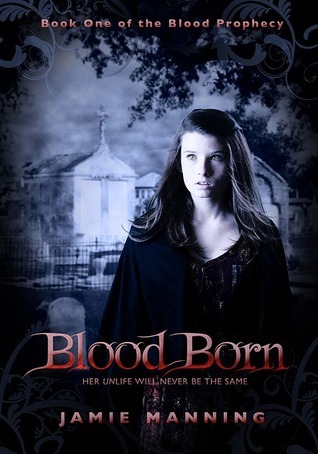 Through Blood Born we get to experience the frustrations with Ava as she learns to be a new vampire and her determination to keep her humanity, and make the toughest decision of her life. I enjoyed the development of these characters and the chemistry between Ava and Chance. He is an oh-so-swoonworthy guy. And, let me tell you, he will warm your insides. He was just so appealing and I loved the way he stood by Ava's side and always had her back. You could really feel the intense chemistry between them. Their bantering only made it that much better. I absolutely LOVED the ending. No, not because it was over, but because it was a fantastic way to lead us to the next installment, Blood Prophecy. Don’t think this is one you know how it’s going to be played out. That’s the beauty behind this fantastic story. Manning knows how to throw a curveball! Overall, this is one you should definitely read. I can’t wait to read Blood Prophecy! For those of you who have read Blood Born, Jamie has been gracious and provided a snippet of the next installment for your reading pleasure as well as what to expect. Thank you, Jamie Manning for an exhilarating ride! "Don't for a second think that I'd rather be somewhere other than here. You are so much more important than anything else I could be doing." Now for a preview of what's to come! BLOOD AWAKENING picks up a month after the events at the end of BLOOD BORN, and we get to see more into the lives of Ava and her friends—how those events changed them and scarred them and are molding them into the people they will become. There will be vampire killings, joining with the enemy, hot boys (of course!) and sacrifices made. This book, to me, is much more character-driven, focusing on how changing who we are as people is inevitable, and how those changes ultimately change our future. And just like BLOOD BORN, this book is gonna leave you guessing—and hopefully eager for the final book in the trilogy! Here’s a scene between Ava and Erik that was really fun to write—hope you enjoy! Being in a new city, and being a blood-sucking monster (okay half, but still), I was nervous about being surrounded by so many people. Sure, back in Wellesley there were people—and at times those people were plenty—but a city like Boston was teeming with them. I was unsure how all the scents would affect my bloodlust, how well I would handle the constant craving that always seemed to lurk just beneath the surface. Unfortunately we hit the city kind of late, the evening sun sinking below the horizon and casting an eerie glow across the towering skyscrapers of downtown Boston, so the abundance of fresh veins was at its peak. I did my best to ignore the heady mixtures of blood and sweat and fear and confidence that bombarded my senses even through the walls of the car, focusing instead on Kayla and her dad and doing my best to reunite them. I managed to keep most of the aromas at bay, but did catch the scents of several really cute college-aged guys loitering on the sidewalk in front of a bar as we passed by. I quickly held my breath until we cleared them. Once we were safely in the hotel room and away from the throng of people, I was finally able to relax. “I’m exhausted,” Kayla said, plopping face-first onto one of two beds—the one she and I would have to share. Erik claimed the other one, gently placing his suitcase on the bright orange bedding and unzipping it. I watched quietly from the chair in the corner as Kayla fell right to sleep and Erik hung clothes on the rack by the sink in the back of the room. I was so thankful that these two people were in my life, that they had been willing to die for me just a few weeks ago. The feeling was overwhelming. So much so, that I suddenly felt claustrophobic. “I need some air,” I said, standing from the chair and opening the door. The cold northern wind instantly filled my nostrils and helped clear my head. I quietly closed the door behind me so as not to wake Kayla, and leaned over the dark green railing of the balcony. Even though the hotel wasn’t what you would consider five-star, it was rather nice: Very clean exterior and interior, and the view of downtown Boston was beautiful—especially at night. The skyscrapers broke through the darkness with their illuminated squares, housing businesspeople and cleaning crews and homes full of loving families and sophisticated urbanites. The tallest one—impressive even from this distance—cleared the others by a long shot. Kayla had told me the name, but having Swiss cheese for a memory bank, I’d lost it. Either way, I was taken aback by the scale of the city, impressed with the beauty and tranquility of it all. I must have gotten fixated on the calming peacefulness I was feeling, because Erik managed to sneak up on me for the second time, going a step further by placing his hand in the small of my back. “Stop doing that!” I said, a bit too loudly as I spun around to face him. That wicked little grin was plastered on his face again, and all I could think about was knocking it off…or biting his bottom lip. Geez. “You like it,” he threw back, flirting. He clearly knew how he got to me, and he exploited that every chance he could. It infuriated me that he seemed so unaffected by the events that had led us to this place in our lives, while I was a stumbling ball of nerves and emotion, always on the verge of breaking down. It also infuriated me that he was able to crawl beneath my skin like no one else—not even Chance. But at the same time, that was one of the things I liked most about him. “Well, go get some air down there,” I said, pointing to the farthest end of the landing. Erik peeked over his shoulder before looking back at me and laughing. “I don’t know.” The words came out before I knew it. I had fully intended on lying through my teeth and telling him he didn’t make me uncomfortable, not in the least. Now the truth was out there, hanging in the air between us like the thick fog rolling across the city. I fought to not look away, to hold my ground with him. “Do you?” I asked, praying only I could hear the squeak in my voice. “I do.” His eyes never left mine. “Enlighten me.” I was being snarky, hoping that somehow my cold tone would push him away—at least far enough away that I couldn’t see the delicious-looking vein throbbing down the side of his neck. “Because you like me,” he said, leaning in so close I could hear his heart beating through his chest. “Don’t you?” I so wanted to tell him yes, to get it out in the open so I wouldn’t have to fight so hard to hide it anymore. But I couldn’t give in to temptation. I had to remain strong for Chance—the one guy in the world I loved more than anything. The same guy who couldn’t care less if I was alive or dead. “Don’t be so sure of yourself.” I took the plunge and put my hand on the exposed skin of his chest nestled in the V of his black T-shirt. (When did he lose the button-down? Not that I was complaining.) Heat thrummed through my hand, tinged with a pulse of energy. I fought the urge to wrap my other arm around his neck and draw him closer, instead pushing firmly on his chest. He backed away, smiling. “Okay, okay. I get it.” He kept smiling as he spoke, somehow making him even more sinfully irresistible. “You’re in love with Chance.” I could hear pain behind his words. I looked away from him, afraid of the truth in my eyes. Of course I was in love with Chance. I always would be. “And you hate vampires.” I stared at the glow of the city, praying for a tornado or aliens to come sweep me away from this awkward-yet-wanted moment. “Then you know why you have to stop this.” And he did. I didn’t look at him as I spoke; I couldn’t. My mind was too focused on the skin his fingers had just caressed, the fire his touch created. I wanted them back, desperately. “And besides, I thought you couldn’t stand me?” I again focused on the twinkling lights of the city, my heart beating so loudly it was nearly drowning out the beat of his. Erik moved slowly, turning his back to the railing and leaning against it. His muscular arm was inches from me, his skin prickling with goose bumps from the brisk night air—I hoped. He didn’t say anything at first, just stood there staring at the wall of the hotel behind us. I didn’t speak, either. I knew my words affected him, I could see it. He was silent because he wanted more from me. I was silent because I think I did, too. So the two of us just stood there, quiet and motionless, together but alone. “Things change,” he finally said, the decibel of his voice piercing the silence; I actually jumped at the sound. I turned to look at him, but his eyes remained fixed on the wall. What did that mean? Did that mean that now he did like me? That me being half vampire didn’t matter anymore? Or did he mean that I should give in to the inevitable change happening right in front of me and just kiss him or something? My mind pulsed painfully with questions. “I’m going to bed,” I said softly, pressing my fingers into my pounding temples. I looked at Erik again, but he didn’t look back—didn’t even acknowledge I was there—as I brushed past him and walked to the door of our room. “One more thing,” he said after my back was to him. I stopped but didn’t turn around, fearful that if I did, I might just give in to the overpowering feeling in the pit of my stomach. “What?” I heard rustling and felt him ease in behind me, his large hand once again resting on the exposed skin of my arm. He leaned down, putting his mouth next to my ear, his breath warm and inviting on my neck, the scent of his blood seizure-inducing. “You didn’t say no to my question.” A tiny laugh escaped his throat as his hand left my arm, slid along my side (more sweet fire trails) and opened the door. I was frozen, totally unable to move or speak, as he sidestepped around me and went inside. He was right, I didn’t say no. And I had no idea why. I've always wanted to be a writer (like most writers, I'm sure) but not until the last few years have I taken it seriously (after I read a tiny, unknown book called Twilight). I was always told growing up that I had to get a job and "earn my keep", so I pushed my dream of writing a book to the back of my mind and entered the workforce. Fast-forward many, many years and here I am, trying to make a go at it. I stumbled across Blogger in 2010 and my world of writing exploded. I have met (via the web) so many amazing writers and industry professionals and book bloggers that have passed on their wisdom and experience and successes and failures. So many, in fact, that I have no excuse to sit down and write out the stories living in my head. Which is what I'm now attempting to do. I enjoy reading more than most other things (well, except maybe for writing. And TV. No way am I giving up my TV) . I attempt to write YA (paranormal and dystopian) and I love it. Blood Born, the first book in The Blood Prophecy Trilogy, will be released by Pendrell Publishing April 24, 2012. Our First WinterHaven Sleigh Tour is Coming! 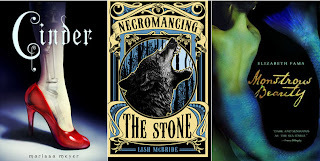 Look at all the Beautiful Covers Giveaway!